"P3 is a must-have tool for improving and managing our propane safety documentation and compliance program..."
Mark Wood, Operations Manager , SchagrinGAS Co.
"The P3 Propane Safety Documentation Audit process keeps our most important documentation follow-ups in front of us and helps us prioritize where we spend our time." 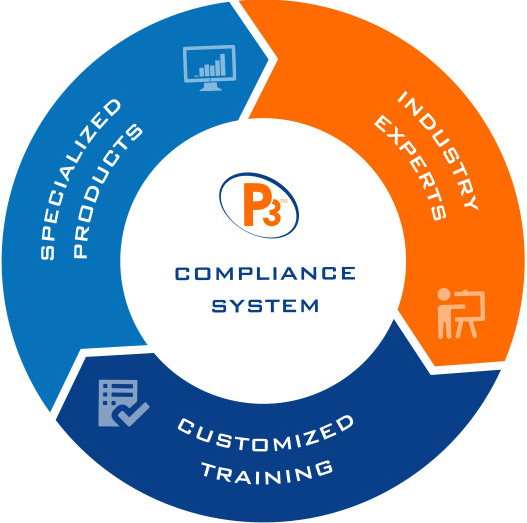 "P3 works because they align the training, forms, management reports, and action plan with our existing business processes." David R. Latourell, Director of Safety and Transportation , Paraco Gas. "Our data is fed right into P3's management reports which helps us stay compliant with NFPA 58 and 54 requirements." "The P3 training was incredibly valuable. Our technicians came out of the session with a clear understanding of the proper completion of documentation." Mark Leach, Director of Operations , P. Gagnon & Son, Inc.
Take advantage of crucial OSHA training courses to keep technician operations compliant and avoid costly fines. Keep bulk plant storage facilities safe and secure with the materials and tools to meet NFPA and DOT regulations. This hands-free solution to your Duty to Warn includes complete management of costs, design, printing, and mailing.